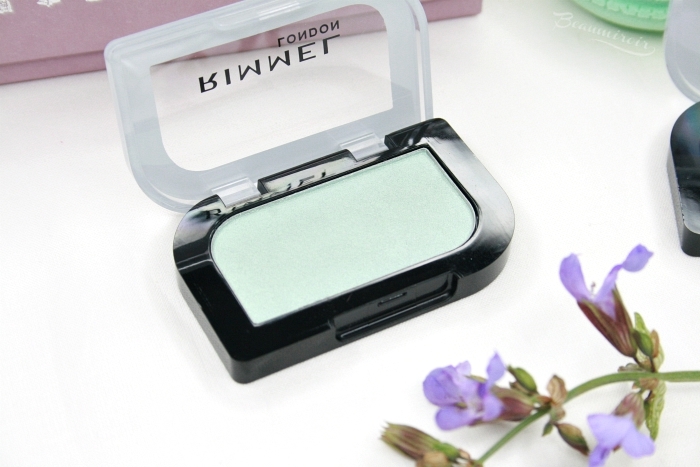 I love a fresh pastel eye look for spring, but good quality eyeshadows in pale colors can be hard to find, especially at the drugstore. 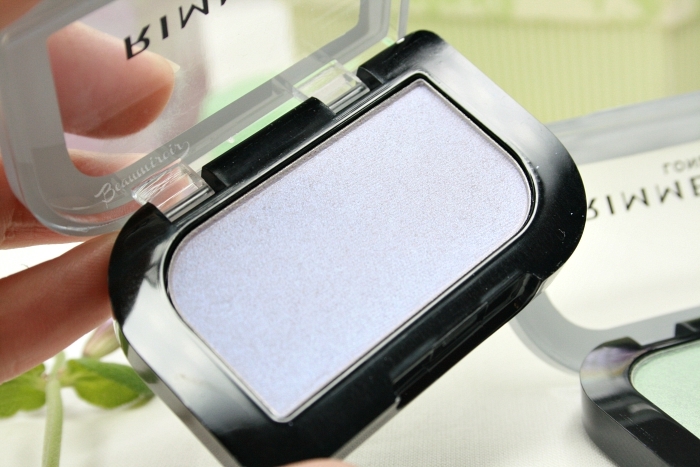 Are the new Rimmel Magnif'Eyes Holographic Mono Eyeshadows the rare affordable makeup gem I had long been looking for? Keep reading to find out! 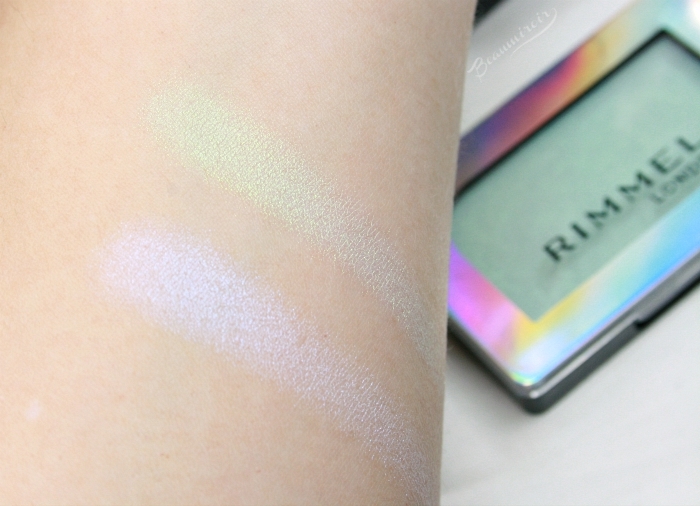 This new collection of single eyeshadows by Rimmel is limited edition, and they come in four shades: the two I bought, pastel purple Lunar Lilac and light green Minted Meteor, and also yellow Gilded Moon and pinky peach Blushed Orbit. 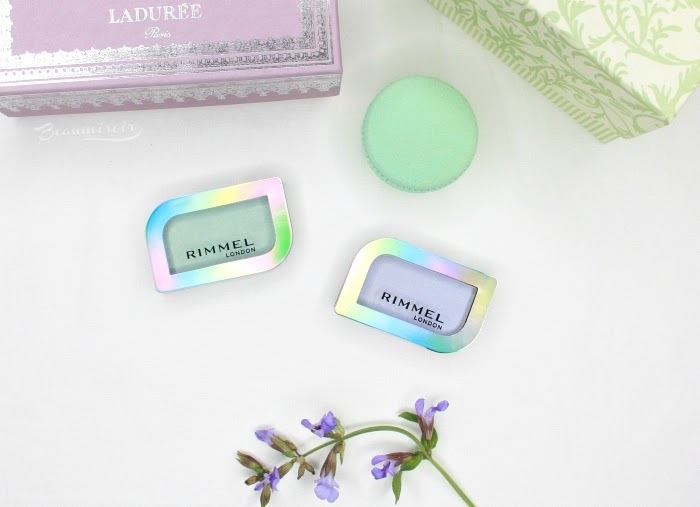 The packaging design is quite nice for a low cost drugstore brand: the compact is shaped like a rectangle with two rounded corners and has a silver holographic effect on the lid. 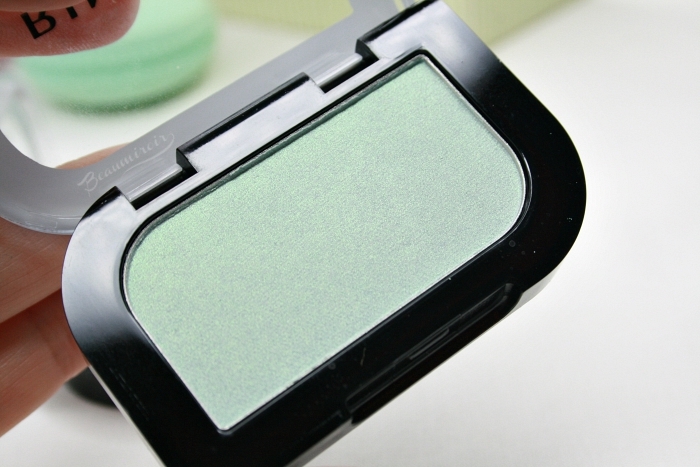 There is also a lot of shadow in these little boxes, with 3.5g of product. 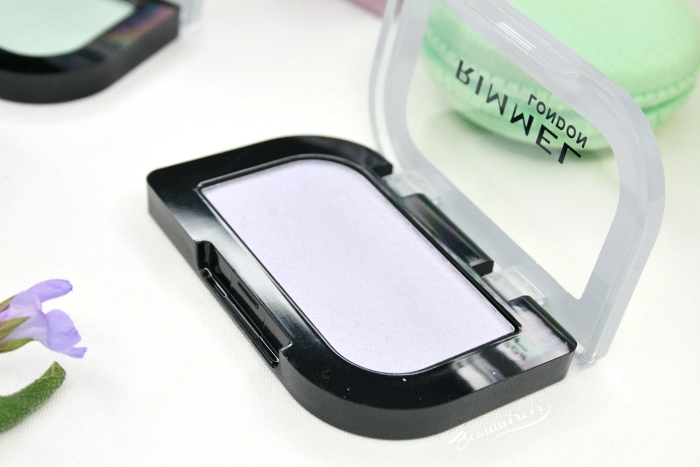 With a price tag of $2.99 it makes the Magnif'Eyes Holographic a fantastic value, and I won't hit pan anytime soon! I know what pressing question you have in mind: are these shadows really holographic?? The answer is no, like most makeup products described as "holographic" they are no such thing. They are shimmery, they have a luminous sheen and a subtle duochrome effect. I wasn't able to really capture how they look in my photos, so trust me when I say they don't do these shadows justice. Minted Meteor looks like a very pale greenish gray in the pan, but at an angle the green shift catches the light and shines. Lunar Lilac also looks very pale and grayish, until the cool bluish purple shift reveals itself. The effect isn't very strong with either shade, although Minted Meteor looks more intense and luminous on my skin. Both shades are sheer, and the Magnif'Eyes Holographic Shadows are meant to be used alone or layered over dark shadows on the eyes, or on the face as highlighters. By themselves they create the pretty pastel eye look I'm looking for this spring, translucent but with a shimmery twist. On top of darker shadows they transform the base color and add an interesting colorful reflection. Neither Minted Meteor nor Lunar Lilac are shades that I would wear on my cheeks as highlighters, but I can see them working well that way since they are rather sheer. 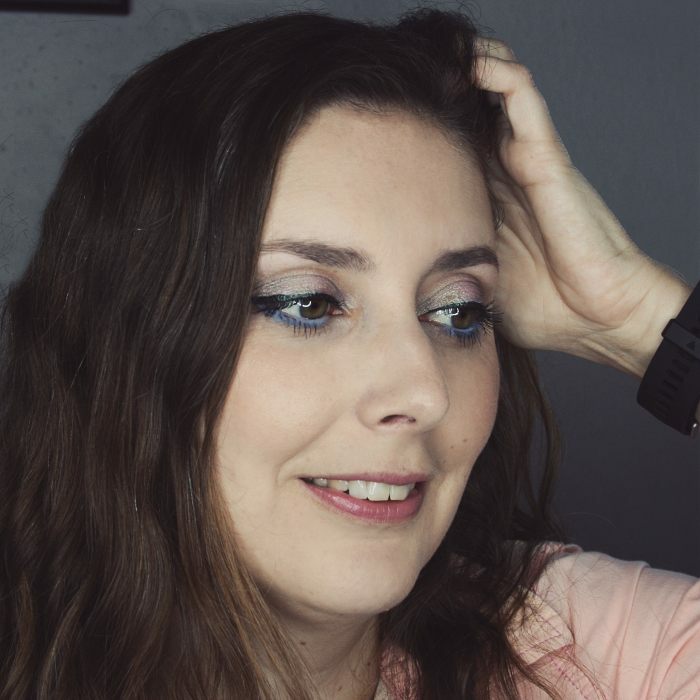 In terms of texture, these Magnif'Eyes Holographic eyeshadows are very soft but quite powdery, almost to the point of being chalky but without crossing that line. They apply and build easily with a brush, and I don't feel like using my fingers really intensifies the effect. They are sheer, by design I believe, so no application method is going to provide an opaque color payoff. 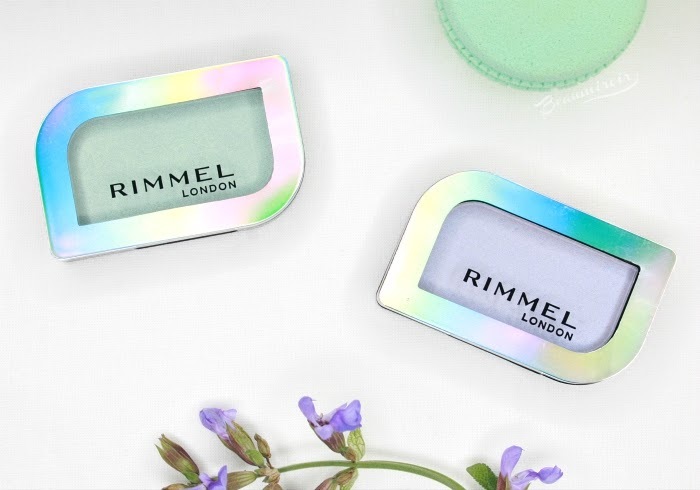 The new Rimmel Magnif'Eyes Holographic Mono Eyeshadows are a very affordable way to incorporate pastel colors into your eye looks this spring. They're a great value, and as long as you are not expecting a true holographic effect or opaque coverage I think they're definitely worth trying. I find the subtle duochrome finish very pretty on my eyes. 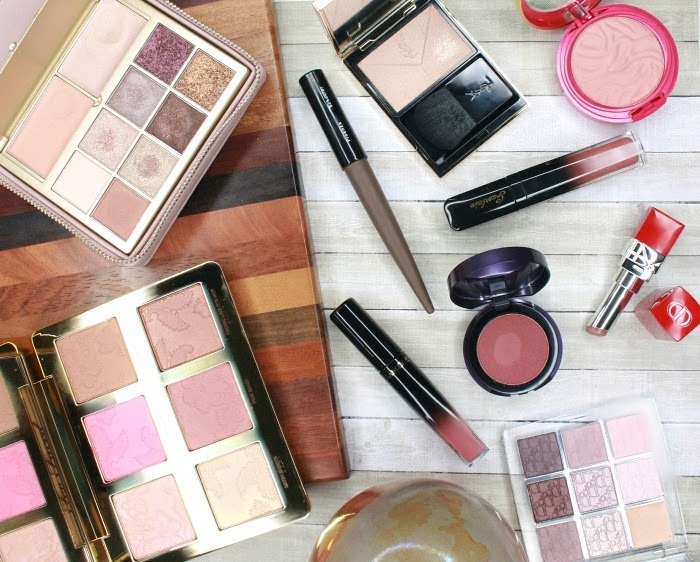 The products featured in this review were purchased by me. I received no compensation to write this post, which only reflects my personal opinion. This post contains affiliate links. 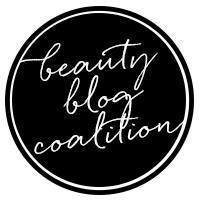 I receive a very small commission when you make a purchase through those links, and the money generated covers a small portion of my expenses to purchase products for review. Clicking on those links helps ensure that Beaumiroir continues to publish reviews of new and exciting high end French products - at no cost to you!